For our summer vacation this year, we've decided to forgo one big, long, far-away trip and, instead, stay a little closer to home and do shorter day or overnight trips. We've treated some out-of-town guests to the usual things you do in Vancouver and area (Stanley Park, winery tour in the Okanagan, Vancouver Art Gallery). But what if you want to do something out of the ordinary? Luckily, Canada has a lot of unusual places to visit. I thought I'd highlight a few of them in a three-part Road Trip Trio. First up: Quirky Canadian Museums! First off, right here in Vancouver we have the Vancouver Police Museum. Golly, this place is cool and creepy. I attended a ‘20’s themed dine-around in Vancouver a few years ago and the cocktails and appetizers were served at the museum. In the morgue. WEIRD but awesome. The VPM has great exhibits, tours and educational programs. If you have an interest in crime or forensics, it's definitely worth a visit. And if you can't make it out to the West Coast, check out their Instagram! Next up, another museum that features bones ... this time dinosaur bones! 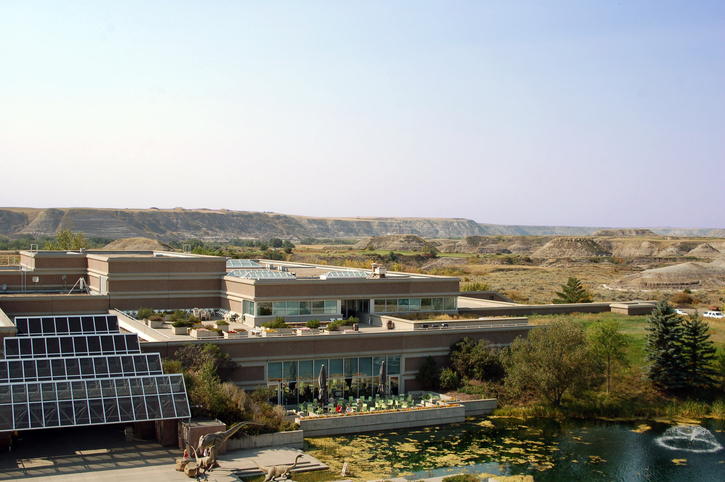 The Royal Tyrrell Museum of Paleontology in Drumheller, Alberta is the next best thing to visiting Jurassic World. 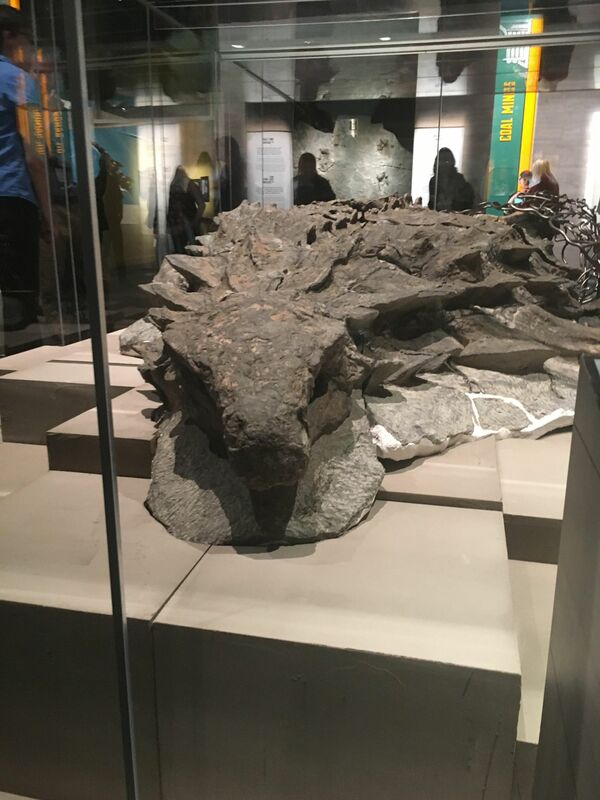 The Royal Tyrrell hosts several educational programs as well a number of incredible exhibits, including the "Grounds for Discovery" exhibit where the Borealopelta markmitchelli, a new genus and species of armoured dinosaur that was discovered in Suncor's Millennium Mine, is housed. If you have some time on your hands, check out the Canadian Clock Museum in Deep River, Ontario. Canada has a rich history in clock manufacturing. From Wood Gear clocks manufactured in the 1820s and 30s, to Kitchen Clocks manufactured by GE in the mid-20th century, to hand tools and benches for watch repair - the Canadian Clock Museum has a little something for everyone. My faves are the animated alarm clocks - I'm pretty sure my brother had the one with a Mountie on it! The Canadian Clock Museum has seasonal hours; make sure you check their website if you plan on visiting. As someone who came of age during the Cold War, one of my favourite quirky museums in Canada is the Diefenbunker outside of Ottawa in Carp, ON. Commissioned by Prime Minister John Diefenbaker in 1959, the Diefenbunker was part of the government’s reaction to escalating tensions in the Cold War. It was meant to house key members of the government and military in the event of a nuclear attack on Canada. Today, it preserves the history of the Cold War in an immersive and interactive environment. The Diefenbunker has rotating exhibits (like a recreation of a military canteen from the 1970s), educational workshops, an escape room experience and an annual zombie invasion. Check out this video for more info. As our final quirky museum, something more lighthearted - the Accordion Museum in Montmagny, Quebec! This museum traces the musical importance of the accordion (aka the Squeeze Box) in Quebecois culture. They have on hand dozens of instruments and hundreds of hours of recorded archives for the public to listen to. This video describes the various exhibits and other interesting things at the museum. Have you been to any of these cool museums? Are there any other quirky Canadian museums we should know about? What do you hope to discover this summer? Stay tuned for the second part of our Road Trip Trio - next week I’m sharing my favourite under-rated Canadian natural wonders: Niagara Falls, I’m not talkin' about you! Thanks for reminding me of all these gems....so much to see and do in Canada!